Is Switching from HTTP to HTTPS on a Website Important? An estimated 37,000 websites are hacked on a daily basis. And it’s not only the websites with low security measures - the IRS, Twitter, and other large corporations have faced severe repercussions because of these system hacks. The Internet is the most popular place to conduct business; thus, hackers have become more sophisticated. The topic of website security has become a critical issue. As part of ongoing security improvement efforts, Google recently announced a system update for acknowledging websites that have (and pointing fingers at those who have not) taken the extra security measures of enabling HTTPS vs. HTTP. Beginning January 2017, this system update within certain browsers such as Chrome and Firefox, will notify users the security connection of any website they visit. Users will be notified which sites they visit are ‘secure’ and which sites are ‘not secure’. Hyper Text Transfer Protocol (HTTP) is the system in which information (ie. any personal information, credit card numbers, or form data) is communicated between a user’s browser and a website. With HTTP, this information is exchanged in plain text. This means that if a message is intercepted on the path from a user to website by a hacker, the hacker will be able to understand and use the information that was intercepted. Hyper Text Transfer Protocol Secure (HTTPS) simply means a website has a layer of security enabled into the communication path by means of an encryption protocol. This encryption protocol is processed through a Secure Sockets Layer (SSL). Clearly the main focus of HTTPS is security. Google’s update and announcement that the HTTPS indicator is now a ranking factor only emphasizes the importance of a secure website. This extra layer not only makes it more difficult for hackers to intercept data in the first place, but it also scrambles the information passed from user to website. In the event that the information is intercepted, the information will be rendered useless to a hacker due to the encryption protocol. Think of the encryption as a super secret code that only the specific website knows how to decode. Enabling HTTPS also informs your users you care about their security and they can trust sharing information on your site. The truth is, average users will not know how to interpret notifications and icons that indicate a website is ‘not secure’. 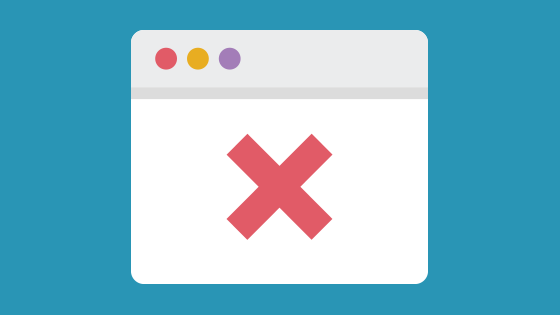 If your website indicates a ‘not secure’ message, users may be hesitant to share any personal information. Therefore, if your website involves eCommerce or collects emails and other personal data through forms or account logins, it is especially important to enable HTTPS. Having the secure message associated with your website will ensure users they’re in good hands, maintaining a great reputation of security and trust. By enabling HTTPS, your website will also be known to Google as a trusted site, in turn boosting your SEO rankings. While the main focus of HTTPS is security, Google has also announced their algorithm will rank sites with enabled HTTPS slightly higher than those without. Their logic, when comparing similar sites, is websites with the implemented security feature are more trustworthy, making them a better reference for a user. So, do you NEED to Enable HTTPS on your Website? While it is not absolutely necessary to enable HTTPS, it is a best practice. If you’re on the fence, or maybe don’t require all that much information from your visitors currently, think about the future. If you expect growth and plan to ask web visitors more information via forms, creating accounts, or personal information, enabling HTTPS to your website now vs. later will be more impactful to your marketing efforts. You will acquire a higher rank, more web visitors, and visitors can be confident in your security. Our free SEO checklist for beginners is another great reference for your website and marketing efforts. It provides an essential outline for what to double check to boost your ranking and remain a trusted source for your visitors.